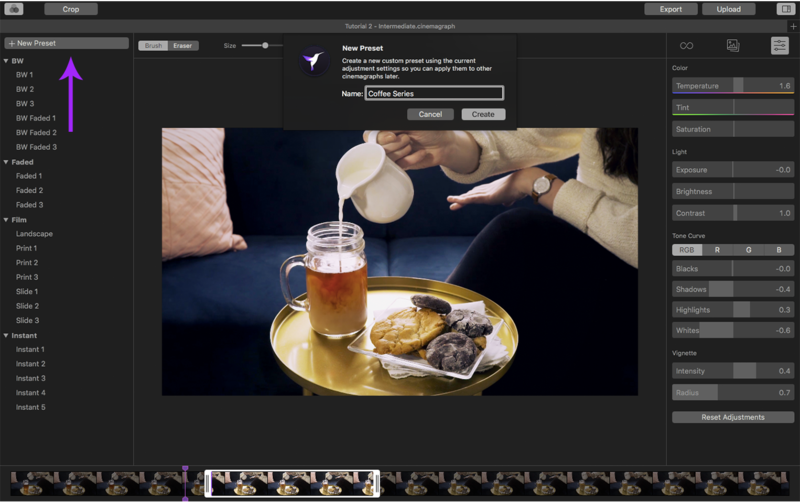 The built-in Cinemagraph Pro for macOS adjustments will allow you to edit the color, light, tone curve, and vignette. The app is also equipped with a library of presets you can use or make further adjustments to. Click New Preset under the presets tab to save your adjustments as a custom preset. 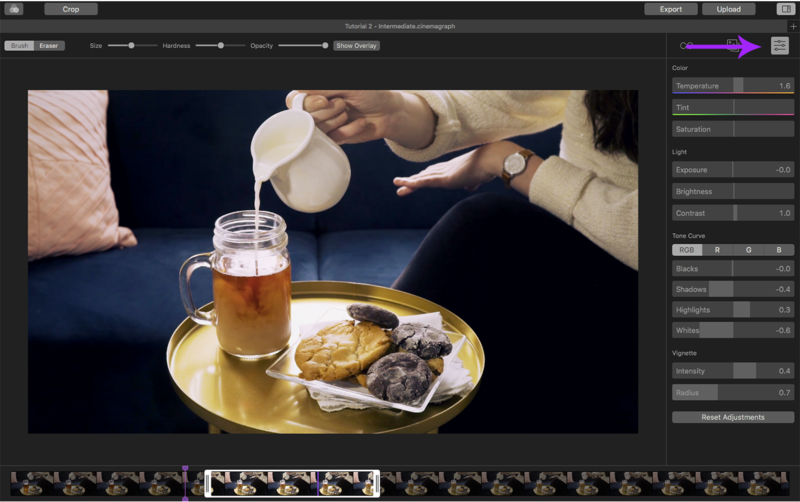 Name your preset and select Create to save the preset for future cinemagraphs.